Karcher pressure washers are a trusted name in the field of power washers and cleaning machines. Since entering the cleaning market in 1950, Karcher has continued to innovate and develop its pressure washers and cleaning equipment. It is now recognised and a global brand leader in providing quality cleaning solutions for domestic, commercial, and industrial environments. 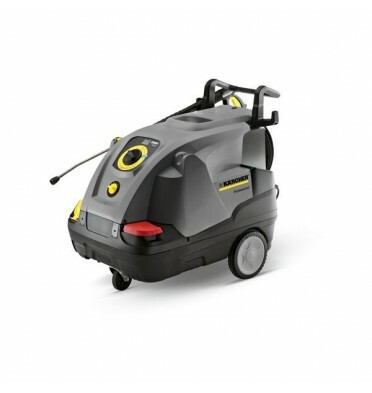 Britclean supplies a big range of Karcher pressure washers. Describing themselves as innovative, competent, and reliable, we can help you find the right Karcher pressure washers to suit the job you will be undertaking. Compact models like the Karcher HD 5/11 P Commercial Cold Pressure Washer have many of the features and benefits of bigger and more expensive machines. Lightweight and portable and electrically powered. 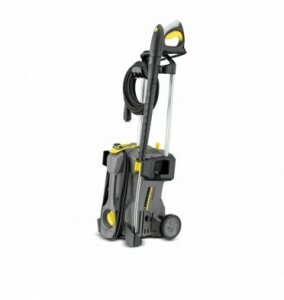 This is ideal for domestic use and smaller commercial power washing tasks. With a series of professional standard accessories and attachments, this is one of the entry level Karcher pressure washers which performs well above its stature. For great all round hot water cleaning power, the Karcher HDS 6/12c Commercial Hot Pressure Washer fits the bill. The diesel fired boiler allows the unit to operate independently. Users recommend its efficiency, and it will crank up to 120 bars of pressure delivering 8 litres per minute of pure jet washing power. You can see the full range of Karcher pressure washers available on the Britclean website. With twelve models to choose from getting the right one for your budget and cleaning requirements is easy. Britclean have four decades of experience in providing the best quality floor cleaning solutions. We are a family run business, so when you want to speak to us about Karcher pressure washers you will be drawing upon the expertise of our small but highly experienced and knowledgeable team. We can help you find exactly what you need, please contact us today. This entry was posted in Britclean UK and tagged Karcher Pressure Washers on February 20, 2017 by Julian Chadwick.